Enjoy a thorough pampering on the ocean wave in one of these sensational shipboard spas. Fans of aromatherapy skincare brand Decléor and beauty brand Carita will love the Aqua Spa on board Saga Sapphire and Saga Pearl II. Enjoy the ultimate in relaxation in this blissful Asian-themed retreat, complete with orchid blooms and ornamental Buddhas. It’s not just the whirlpool bath bubbles you’ll enjoy, there’s a glass of champagne waiting for you too. Therapist Emma Sowerby describes the Saga spa experience as like being “cocooned in a bubble of relaxation”. Opt for a vitamin facial, or a body massage such as the Madagascan Red Island Ritual. Take a dip in the heated indoor pool, followed by a sauna. 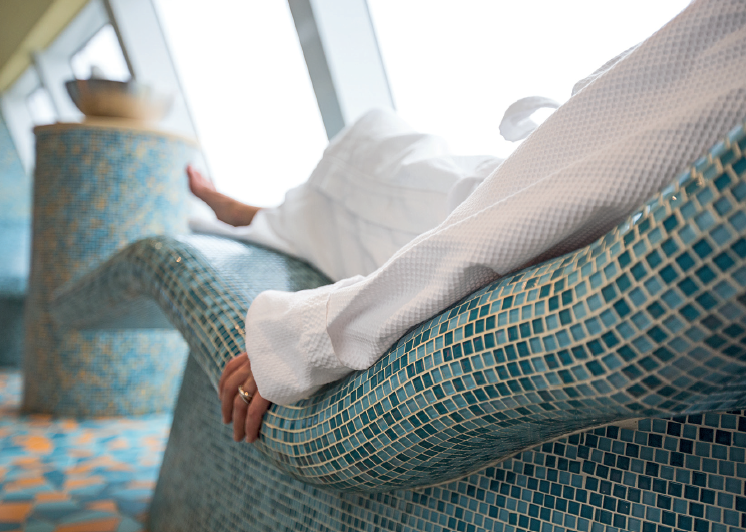 A visit to the Crystal Spa on Symphony and Serenity will leave you feeling truly revitalised. Floor-to-ceiling windows offer expansive ocean views, while Zen rock- gardens and tranquil water features add to the calming atmosphere. What could be better than top-to-toe pampering in the only feng shui-inspired spa at sea? The choice is yours, from body wraps to aroma stone therapy using heated volcanic stones combined with traditional massage techniques. The Elemis Spa Therapy Menu combines therapeutic plant extracts and essential oils – the Frangipani Body Nourish Wrap with Massage will leave you walking on air. Book a treatment in the couples suite and you can both enjoy a full-body massage, side by side. A world of wellness awaits when you visit Norwegian Cruise Line’s Mandara Spa, available on the entire fleet, with its exotic Balinese-inspired treatments. Cruising the Caribbean on board Escape, you wouldn’t expect to see snow – but the spa’s Snow Room changes all that! Speciality treatments include a seaweed massage incorporating a heated seaweed mask with essential oils that is applied all over your body. Breathe deeply in The Salt Room, where the warm salty air helps strengthen the immune system (available on Breakaway, Getaway and Escape). The Atlantis Spa & Salon (across the fleet) may not have the bells and whistles found on resort-style ships but you’ll still find all you need for some serious R&R. Marine-based Thalgo is the product of choice. Discover the art of relaxation at Atlantis, with ancient spa rituals designed to elevate your sense of wellbeing. Tempting massage treatments, focusing on key pressure points, include a full Swedish, traditional Thai and Indian head massage. Try the Thalgo “Heart of the Ocean Massage”, which works in sympathy with the natural movement of the sea. You will feel totally blissed-out after sampling the treatments in this aptly named 20,000sq ft luxury spa. Cloud 9 is quite simply a shrine to relaxation. A Bamboo Massage will tantalize the senses, as warm bamboo shoots soaked in essential oil massage your muscles. The Thermal Suite’s alternate dry and wet heat chambers include a tepidarium, caldarium, steam chamber and hammam chamber to totally cleanse, tone and purify the body. This soothing sanctuary of Nordic wellness is available on Viking Sea and Viking Star. Hydrafacial, Calgel for manicures and pedicures and The Organic Pharmacy are just some of the skincare and beauty products used. 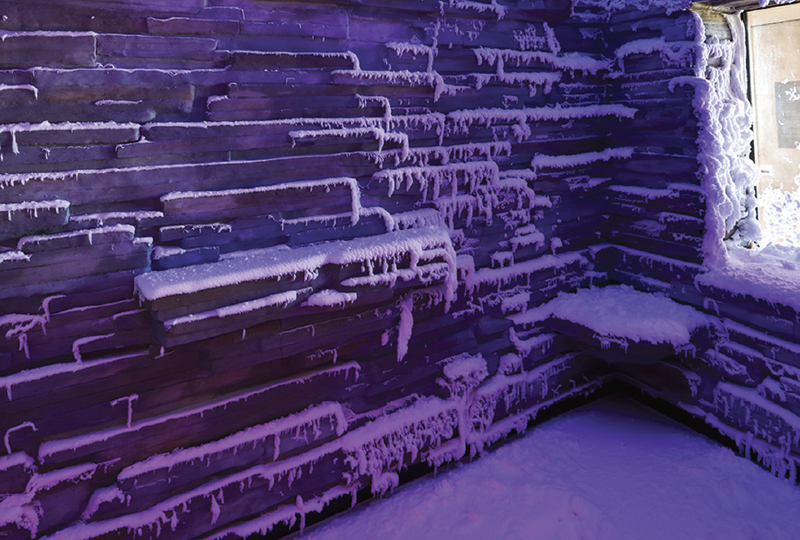 The LivNordic Spa has one of the very few infinity pools at sea, and a Snow Grotto with real snow. The Scandinavian-inspired services include a choice of three Swedish massages – Mindful, Detox and Deep Tissue – which can be upgraded with specialist techniques including “cupping” (Gwyneth Paltrow’s favourite) or a slimming treatment. Take a dip in the main pool, complete with retractable roof, and swim under the stars. A lavish treatment room with amazing sea views is one of the many reasons to visit the Aurea Spa on MSC ships. This tranquil retreat is beautiful inside too, with natural stone, precious woods and rich mosaics everywhere you look. Try an authentic Balinese spa experience. The huge range of treatments includes some exotic-sounding options such as Balinese candle massage and massage with fossil salts. An Aurea Experience pampering package includes unlimited access to the Thermal Area and a complimentary 60min massage. 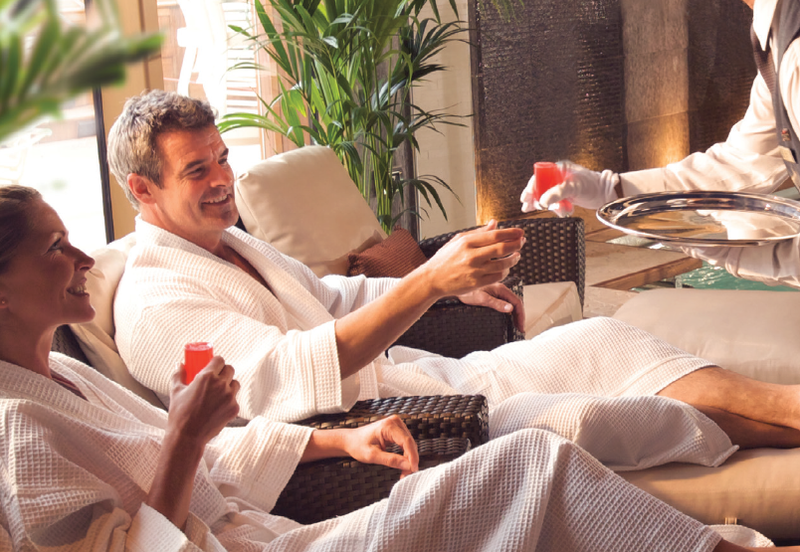 Whether your idea of heaven is sipping organic tea on your heated lounger or sweating it out in the Thermal Suite, the Oasis Spa allows you the freedom to be pampered as you please. The name says it all – this oasis of calm will nurture your entire being. The 24 Karat Gold Facial and the Quartz-Lift Anti-Wrinkle facial are two innovative treatments to improve skin firmness, while acupuncture is used for many symptoms, including seasickness. Sailing with Azura, Ventura or Britannia you can enjoy alfresco pampering in the outdoor spa area, The Retreat, and admire the ocean view from your private cabana. Spas on Silversea’s elegant all-inclusive ships offer a journey of wellness to complement your global adventures. The calming nature of The Spa is reflected in its stylish contemporary decor and the use of earthy tones throughout. Silversea’s holistic approach to wellness embraces spa therapies and nutritious dining to pamper your mind, body and soul. What’s on offer? Detox and beautify by indulging in a full- body experience from Elemis Exotic Rituals, or try Elemis Musclease Spa Ocean wraps with a full-body massage. Hydrating facials, a hot stone massage or a sauna and steam will work their magic, soothing every muscle and leaving skin rejuvenated. Learn top tips about aromatherapy, nutrition and weight-loss at one of Silversea’s wellbeing seminars. Being such an iconic ship, it’s no surprise that Cunard’s Queen Mary 2 boasts the largest spa afloat, the two-deck Canyon Ranch SpaClub. The Canyon SpaClub has just been voted “Best Cruise Ship Spa 2017” in the Berlitz Guide to Cruising and Cruise Ships. A signature Canyon Ranch massage, acupuncture, chiropractic treatments and thermal therapies are available to men, women and couples. There’s also a Thermal Suite and Aqua Therapy Centre with a range of rejuvenating features including a steam room, saunas, ice fountain, sensory showers and pool. Explore the many therapies from Asia with a Thai massage or Thai reflexology – just a few of the luxury “Treatments From The East“ on offer.